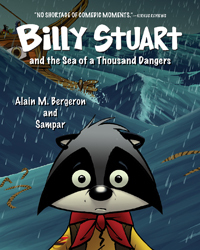 Biography: A prolific author, Alain M. Bergeron has written over 250 children's books. 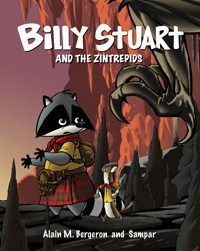 He collaborated with Quebecois artist Sampar to create Billy Stuart and the Zintrepids, a colorful cast of Scouts that includes a raccoon, fox, chameleon, skunk and weasel. This intrepid crew made one fateful mistake and has been suffering the consequences ever since. 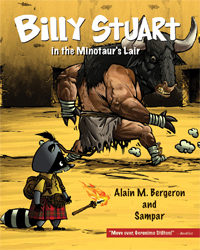 Alain devotes himself exclusively to leading school workshops and writing, and his inexhaustible imagination has made him a fixture in children's literature and garnered many awards and accolades. Alain lives in Victoriaville, Quebec.